As Missouri’s largest open-air farmer’s market, City Market has undergone a dramatic transformation in just over a decade. 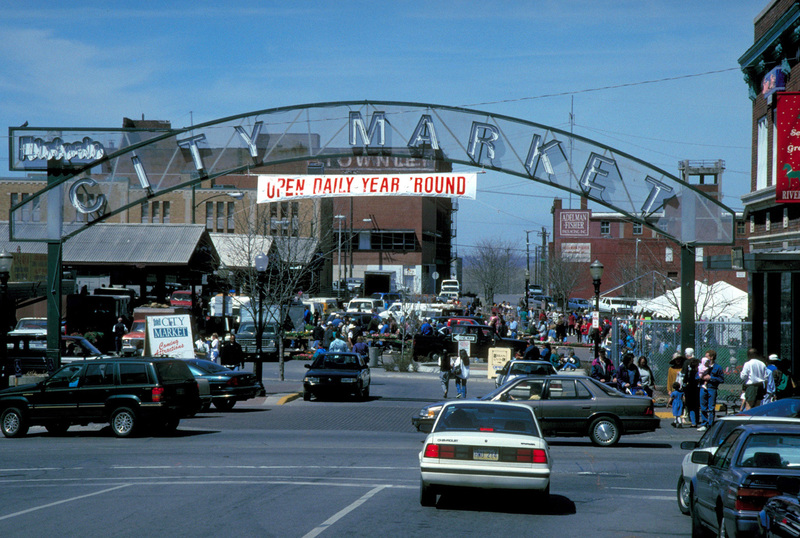 Renovated in the 1980’s, the market has since come back to life as a centerpiece for an entire riverfront district. At its heart are open-air sheds that accommodate some 200 vendors. Beginning with spring flowers and ending with harvest pumpkins, the sheds provide an ever-changing spectacle of Missouri and Kansas farmers – who have exclusive use of them in the summers on Wednesdays and Saturdays. The market is surrounded by year-round shops selling a variety of food products and crafts, as well as restaurants and loft apartments. Project for Public Spaces’ role in the market was to study its growth opportunities and make recommendations for strengthening the market mix, extending the market season and implementing physical improvements.